The Lights On Mitts are the companion pattern to the Blackout Mitts. While I was designing the Blackout Mitts, I thought the Blacker would also look great in lace. A little thought and a little work resulted in this great, quick knit. 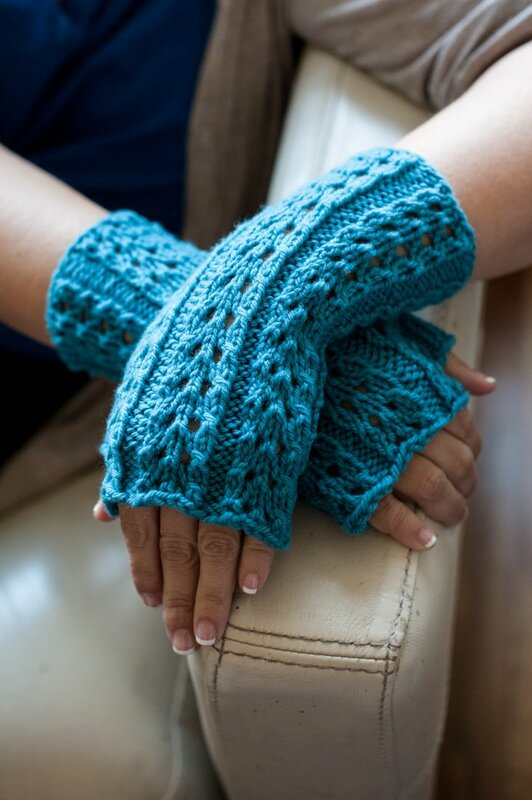 This pattern is meant for an adventurous novice to advanced knitter.